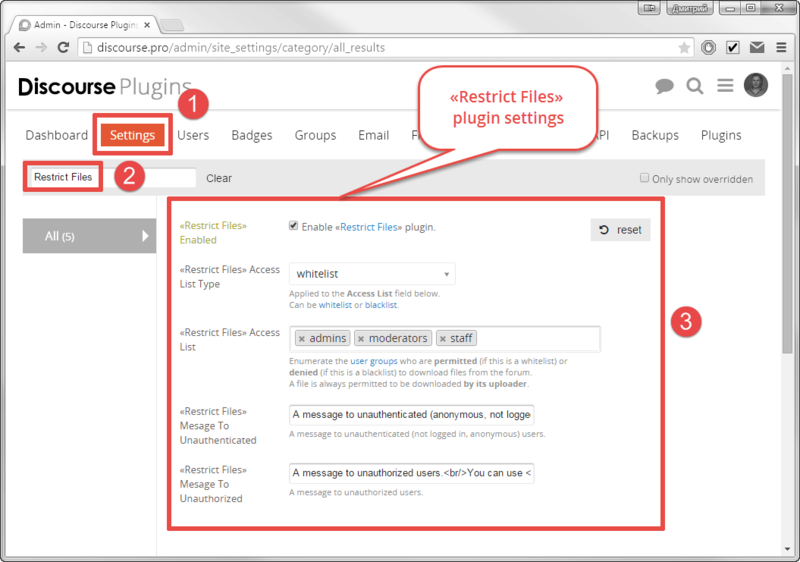 The «Restricted Files» plugin allows you to restrict access to downloads (attached files) so only users of permitted groups can download files from your Discourse forum. 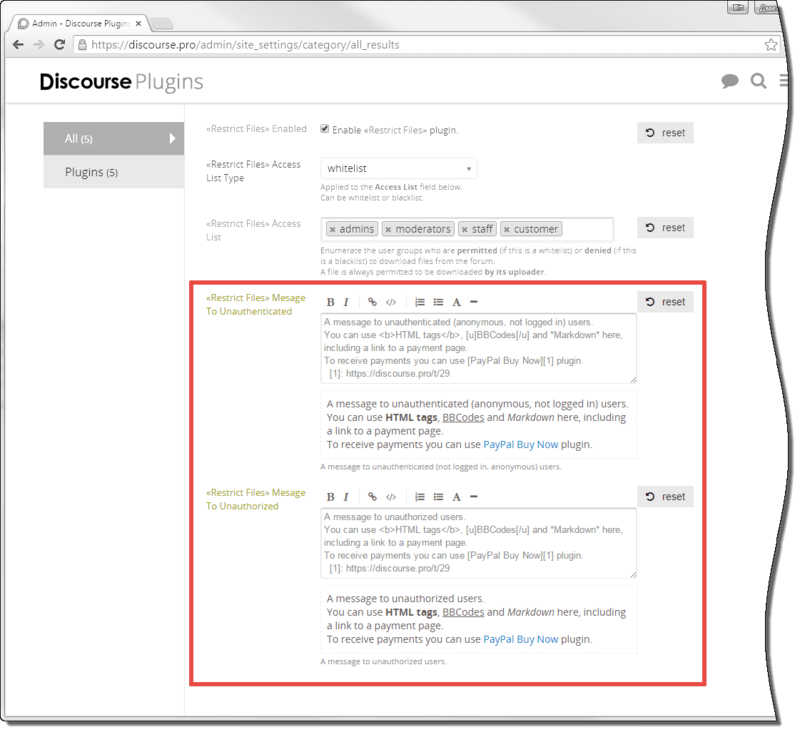 So you can sell digital content through your Discourse forum. 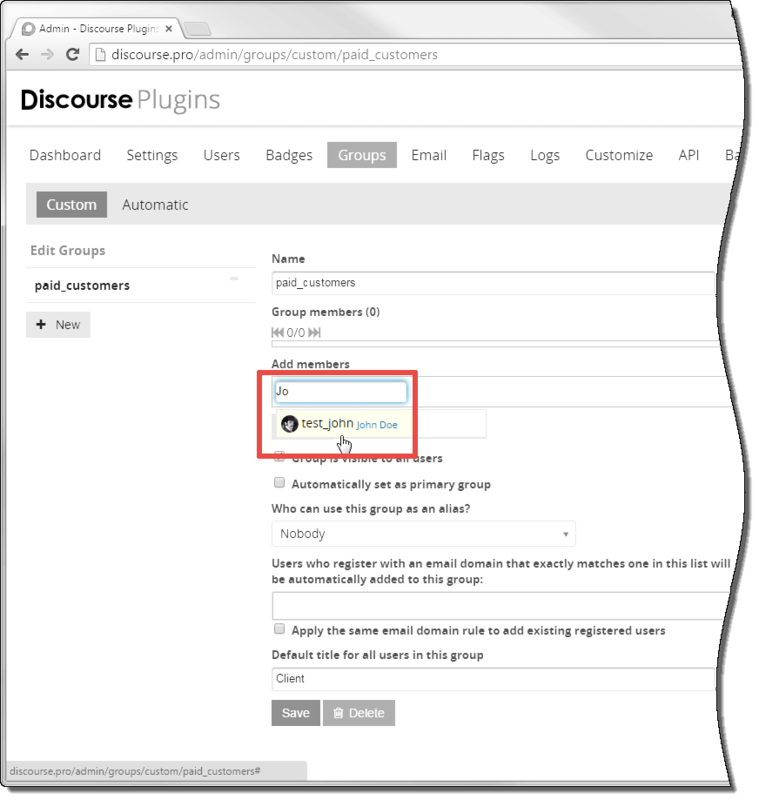 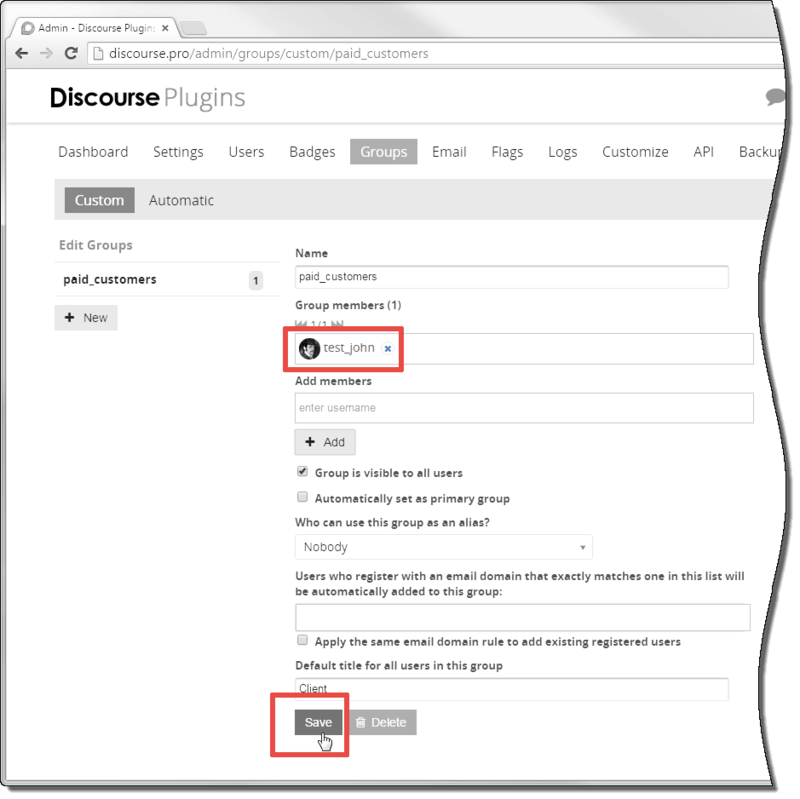 To receive payments from your customers you can use my another Discourse plugin «PayPal Buy Now». 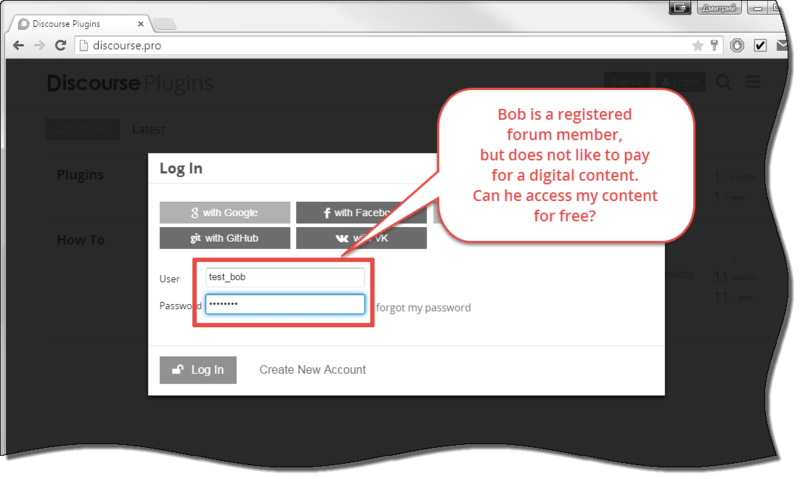 Also you can offer your digital content for free, but only to members of permitted groups / trust levels. 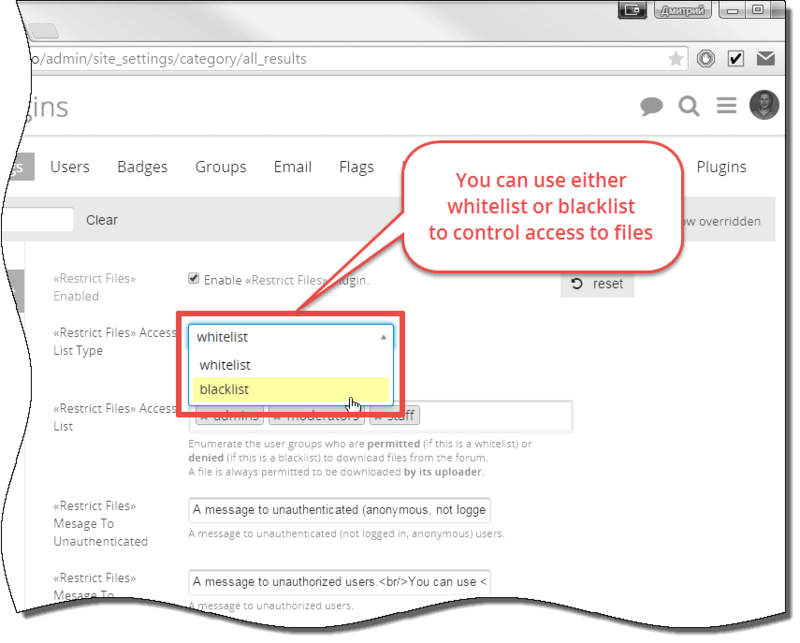 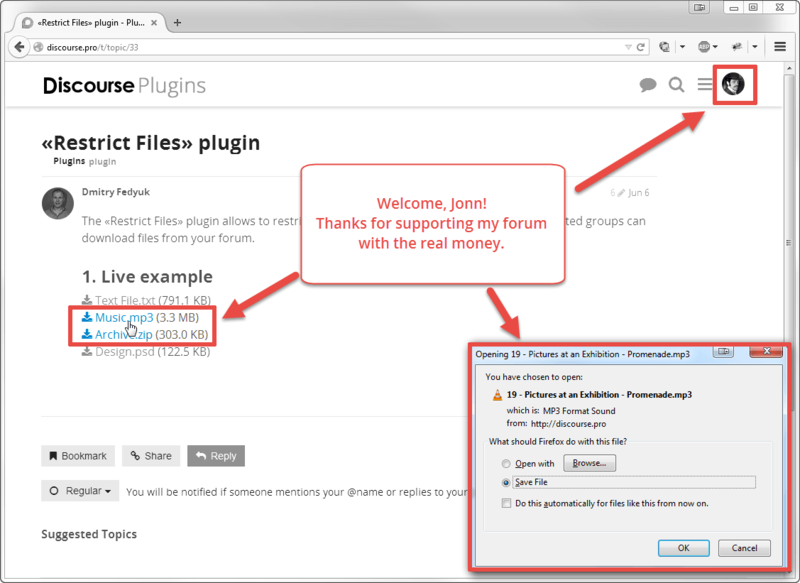 So you can motivate your forum members to achieve the specified trust level to gain access to the downloads. 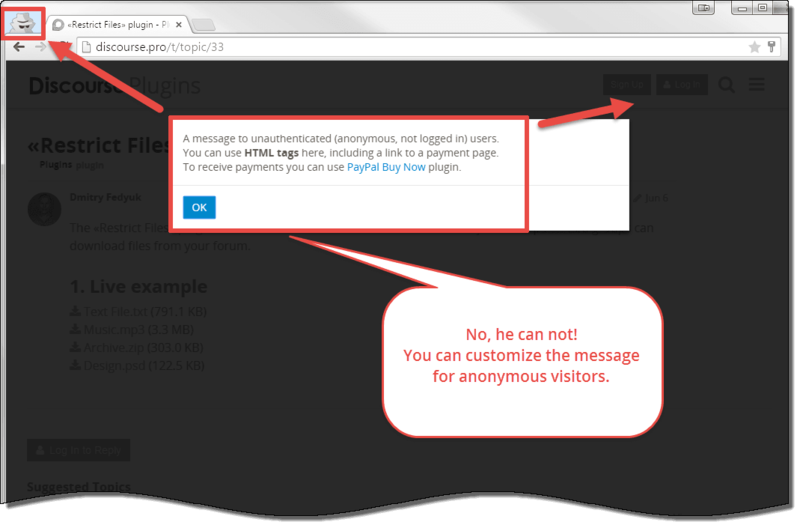 They can not be downloaded neither by the anonymous nor by the simple registered customers. 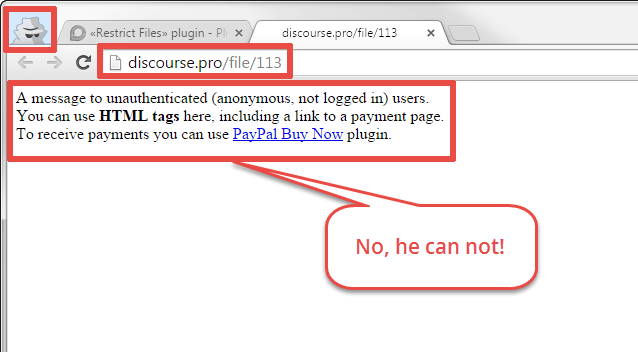 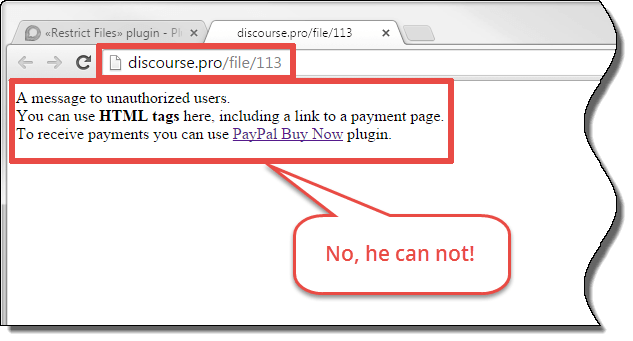 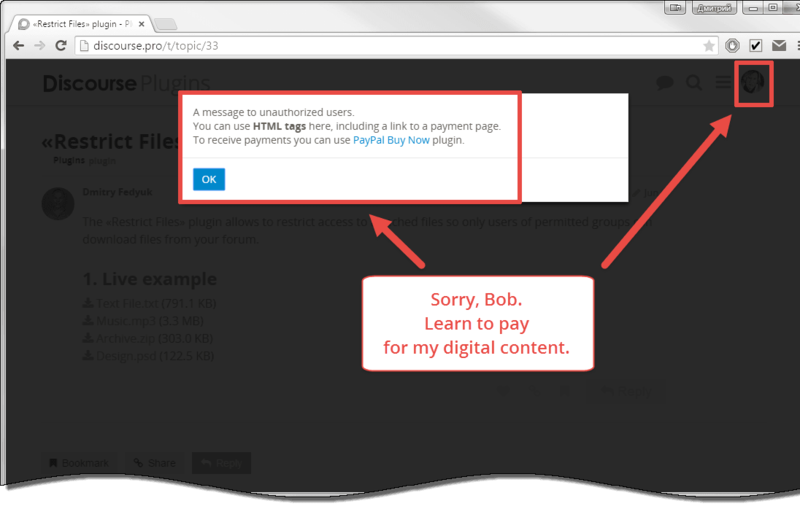 Take a notice that the form is built using my another Discourse plugin «PayPal Buy Now». 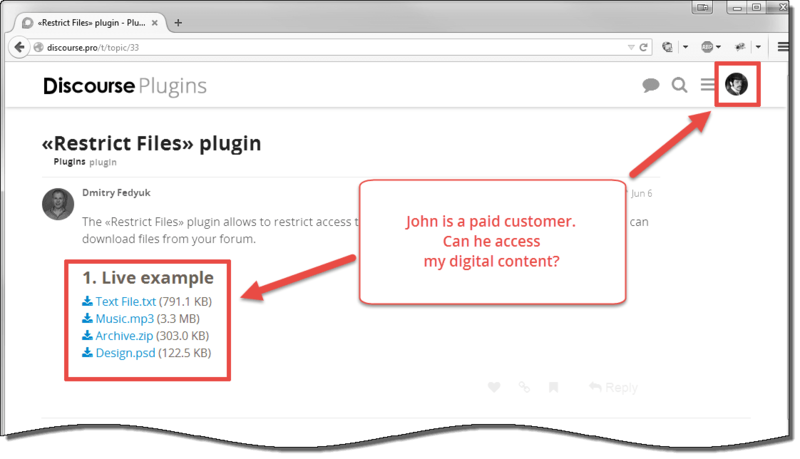 You can order the installation service (see the form above) or just install the plugin yourself in the standard way through app.yml. 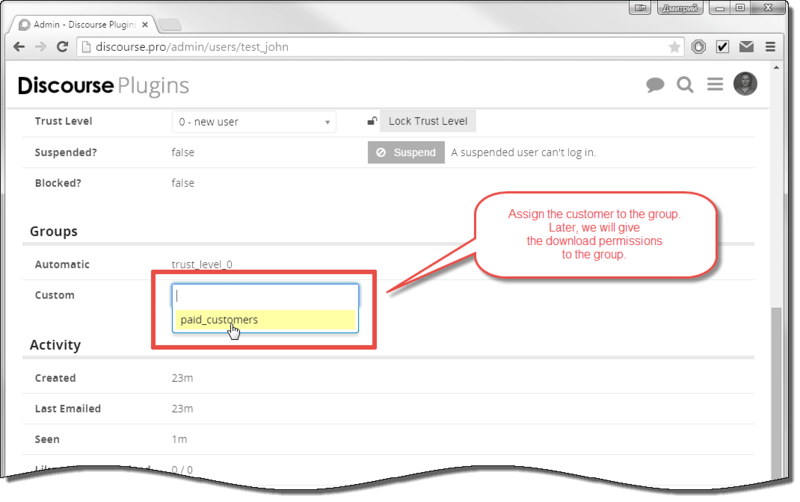 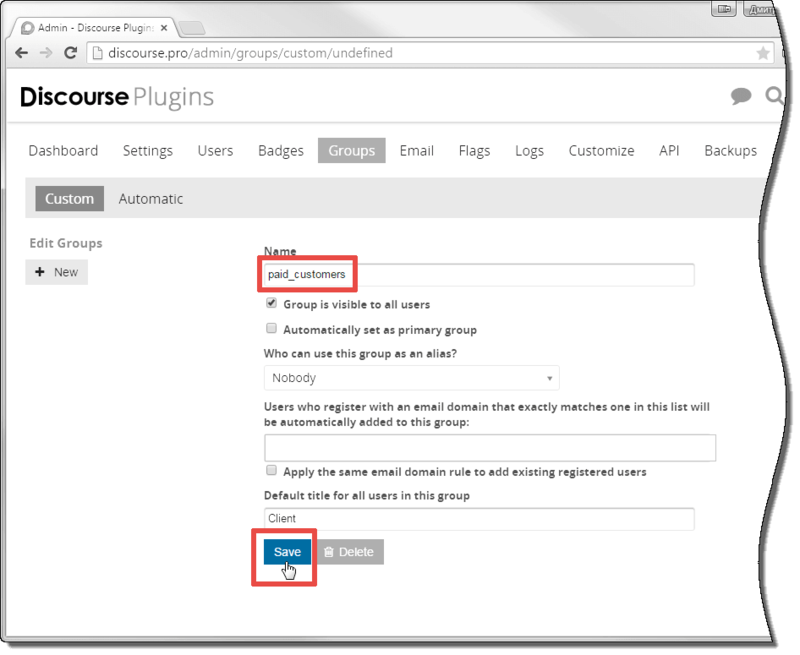 6.1 Setup a user group with download access. 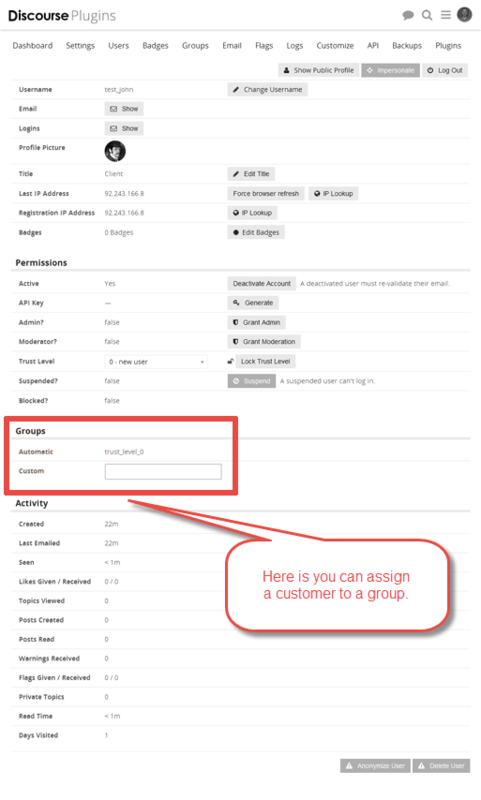 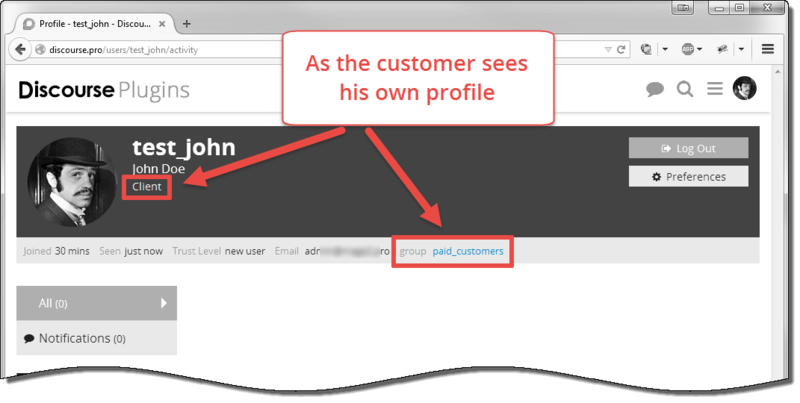 You can do it either on the group page or on the customer page. 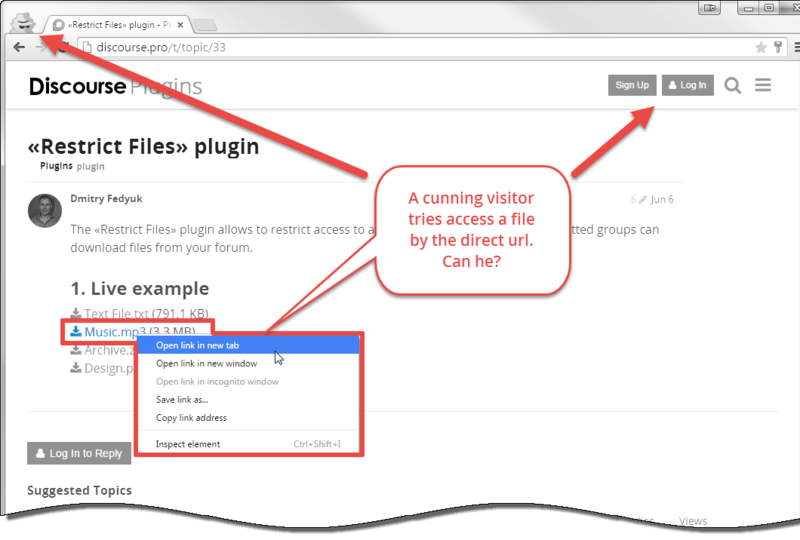 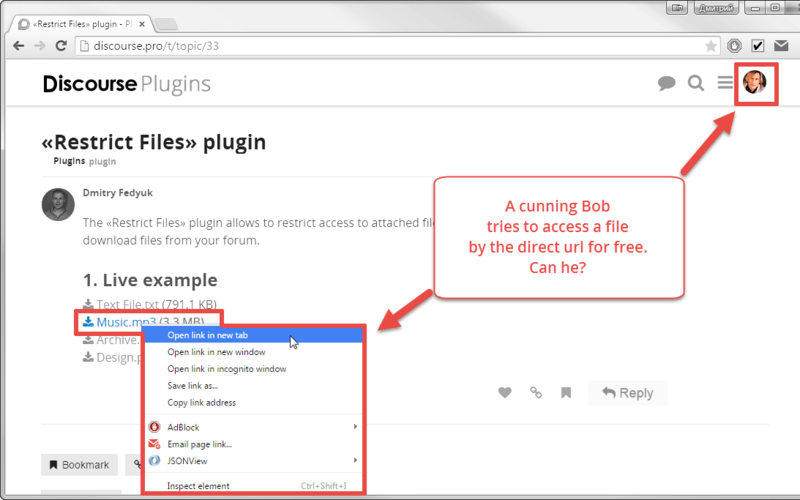 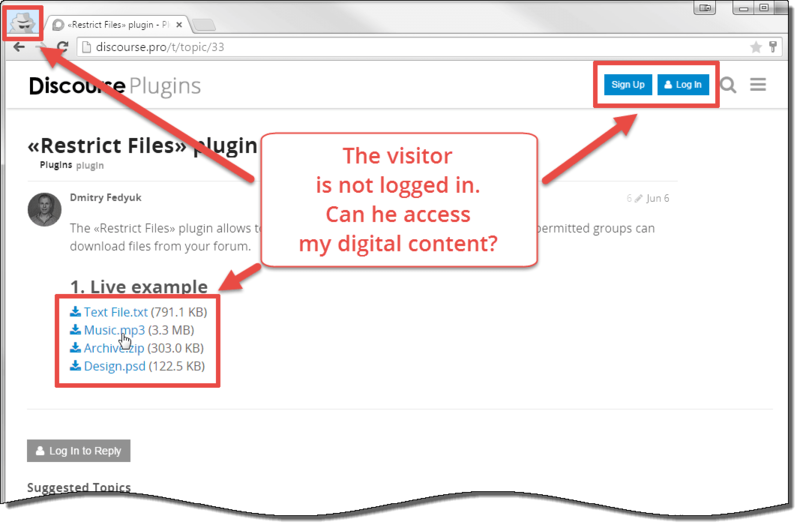 How much the license of the plugin «Restricted Files» plugin? 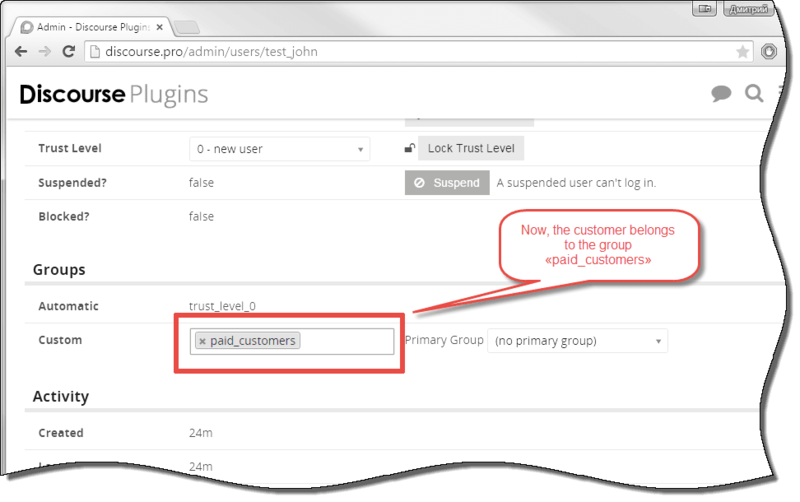 Admin interface has been improved. 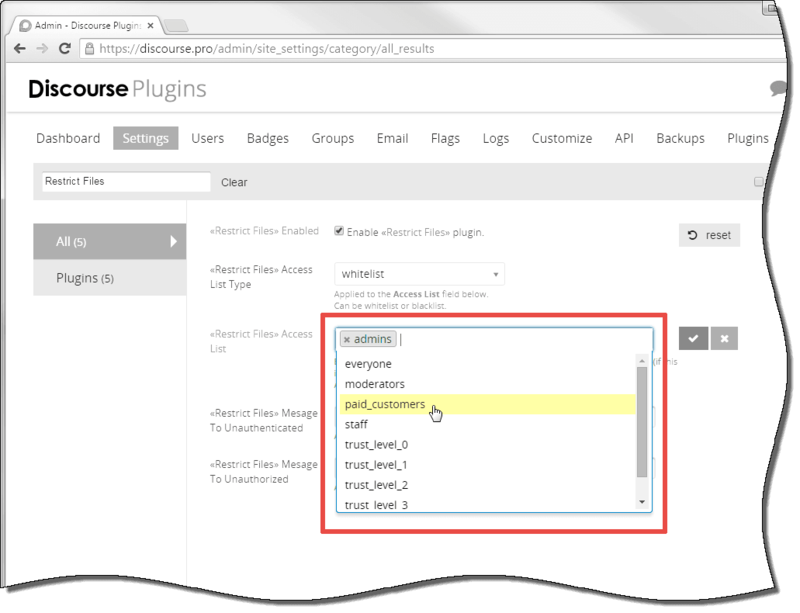 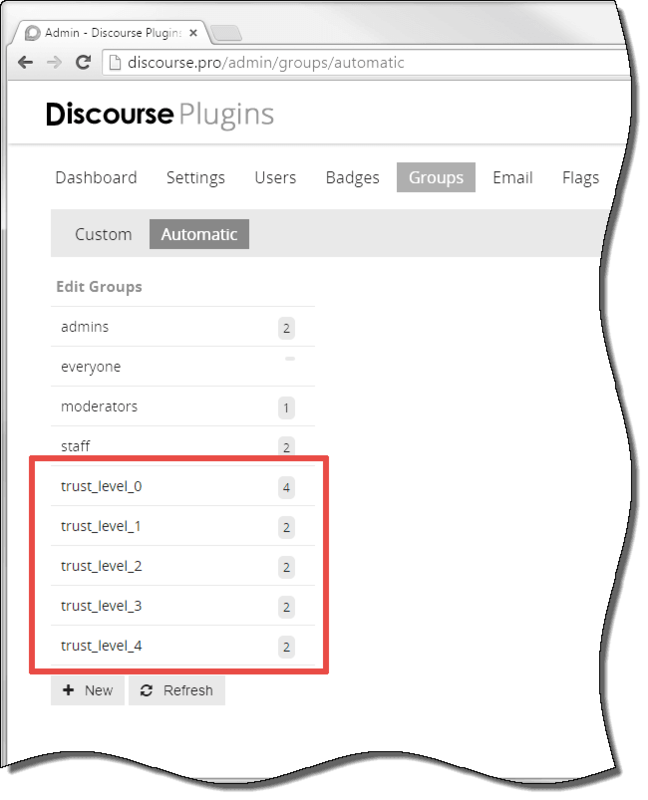 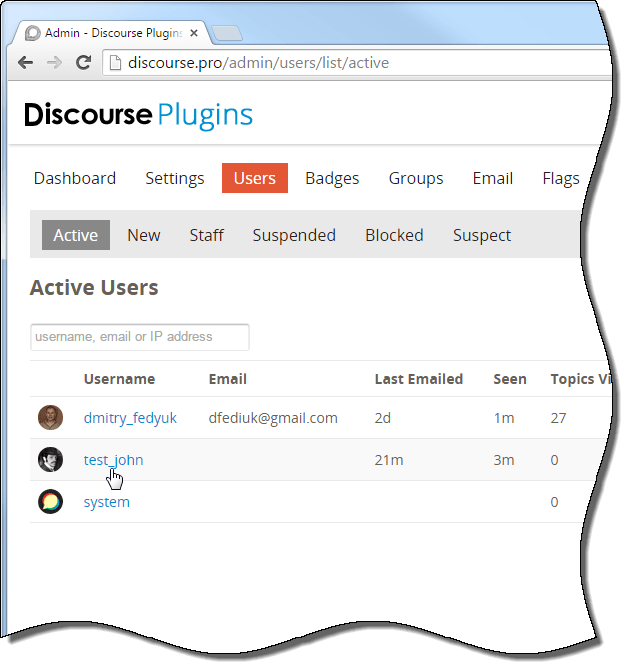 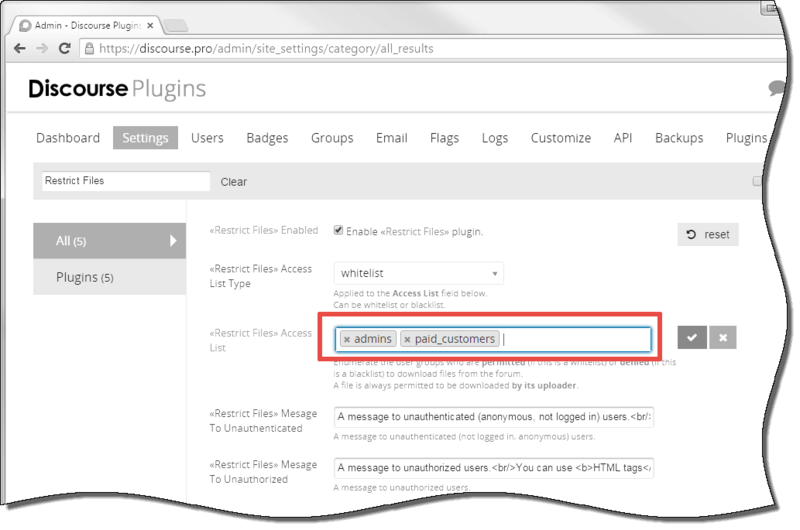 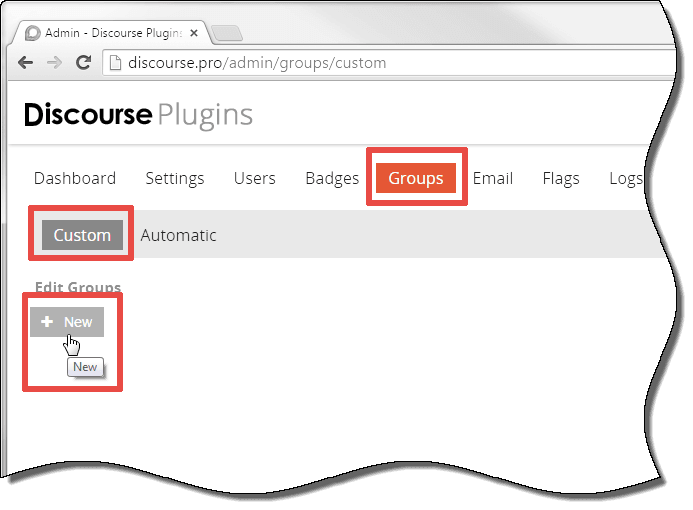 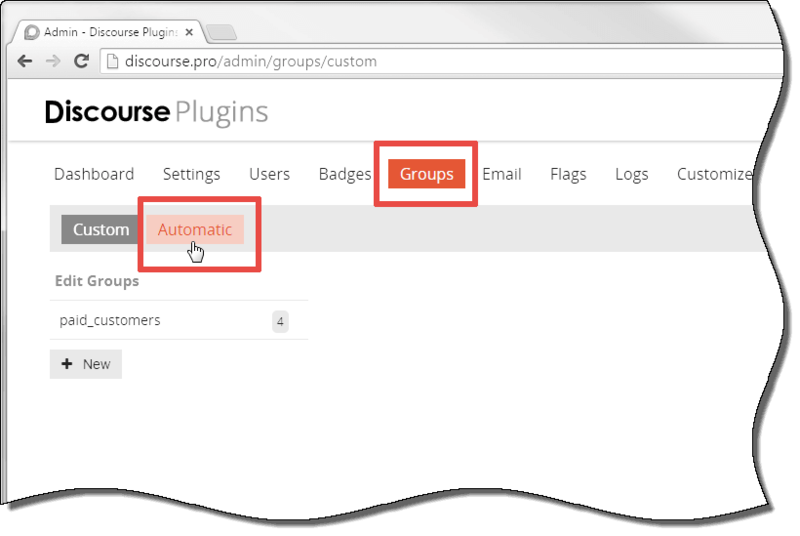 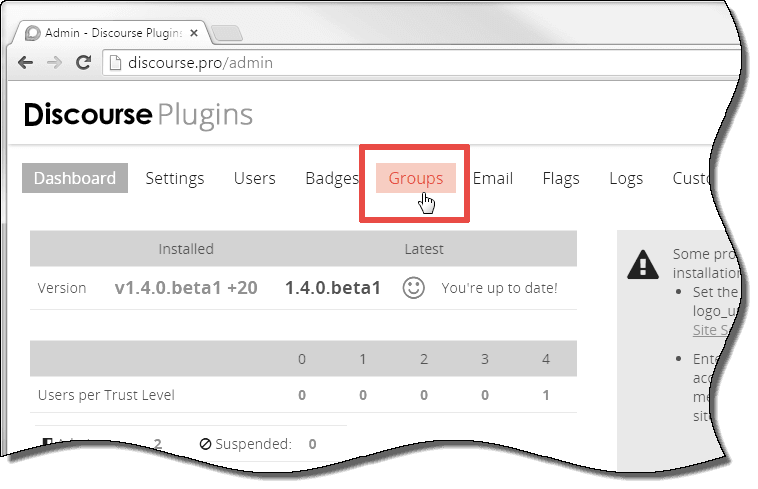 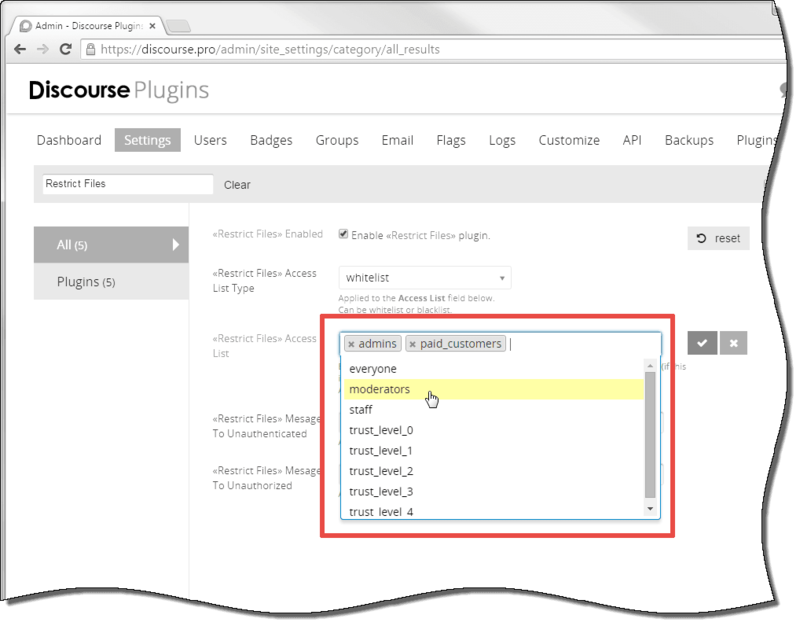 The plugin has been updated to be compatible with the upload changes introduced in Discourse v1.4.0.beta5 and v1.4.0.beta6. 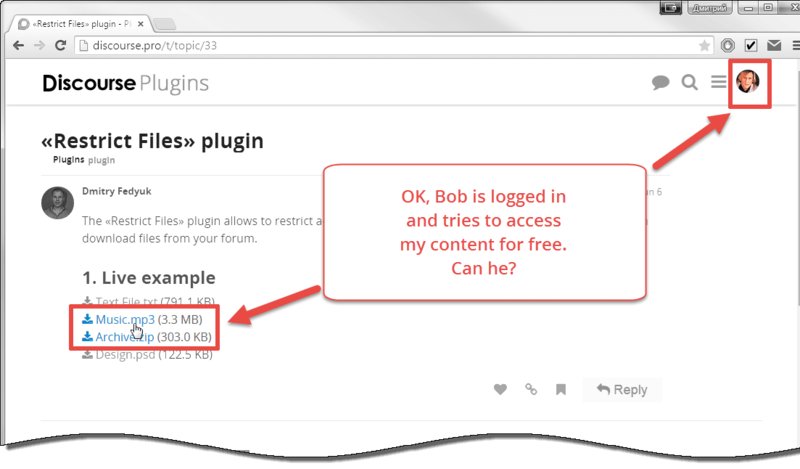 Now, the plugin logs all the download events for the restricted files. 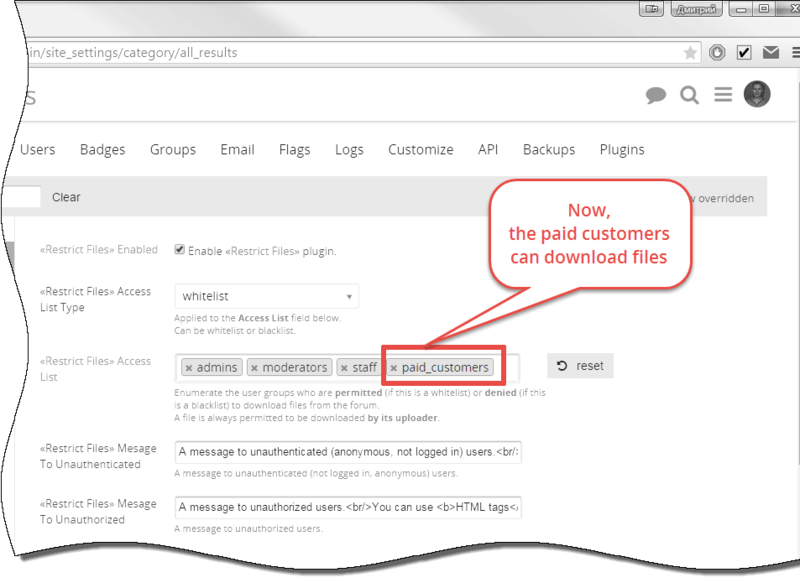 The version 2.1 is released. 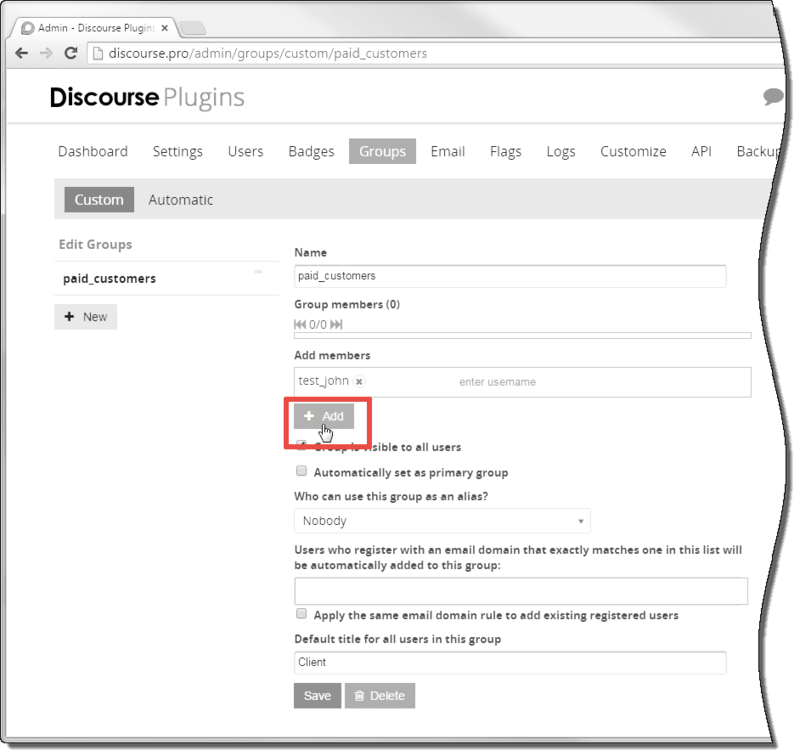 The plugin is updated to be compatible with the latest Discourse version (v1.7.0.beta9).